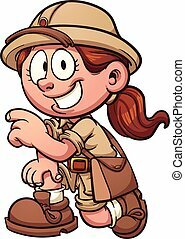 Cartoon archaeologist. 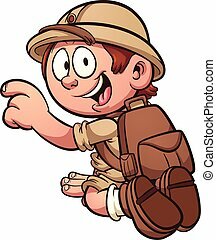 Cartoon jungle explorer. vector clip art illustration with simple gradients. all in a single layer. 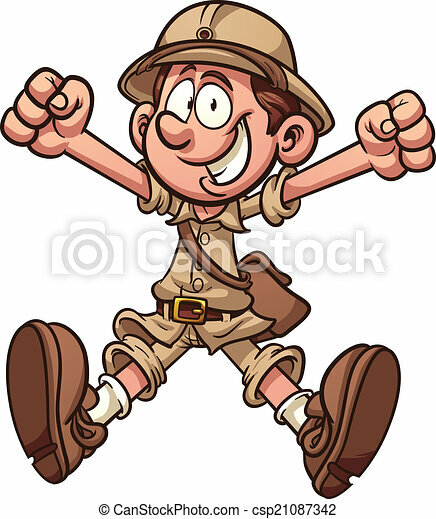 Cartoon jungle explorer. Vector clip art illustration with simple gradients. All in a single layer. 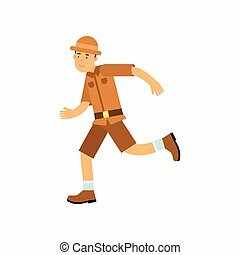 Happy cartoon young archaeologist character running. 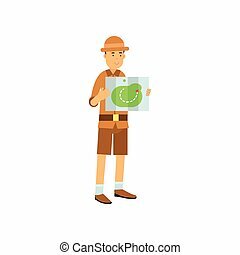 Treasure hunter in brown safari suit and hat. 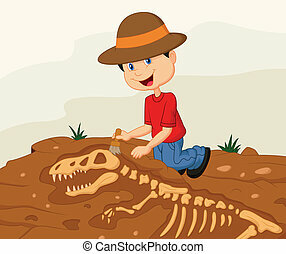 Search of ancient artifacts. 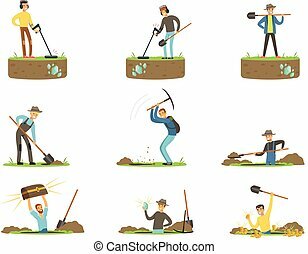 Excavations and archaeology. Flat vector illustration isolated on white. Round steel shovel with brown wooden handle for digging. 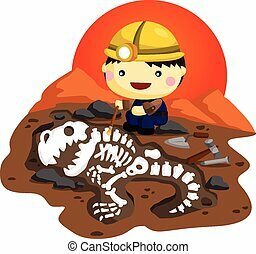 Cartoon archaeologist working tool for excavations. 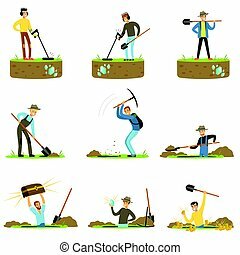 Archeology symbol in flat style. Colored vector illustration isolated on white background. 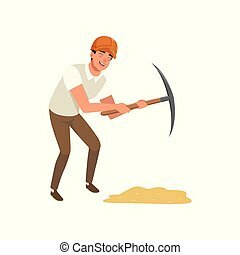 Young cheerful man working with pickaxe. 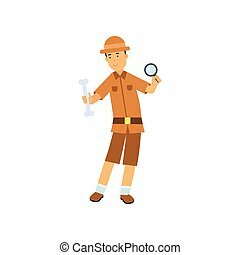 Cartoon archaeologist character in protective helmet, shirt and pants. Professional at work. 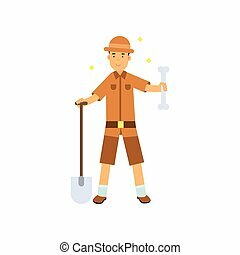 Tool for archaeological excavation. Isolated flat vector design. 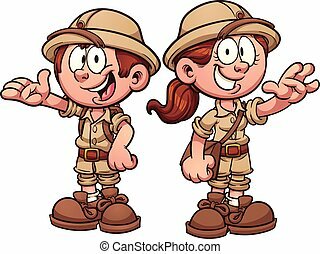 Boy and girl in safari outfits. 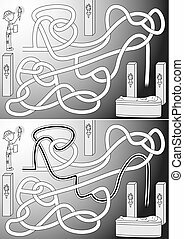 Vector clip art cartoon illustration with simple gradients. Cartoon safari kid kneeling. Vector clip art illustration with simple gradients. All in a single layer. 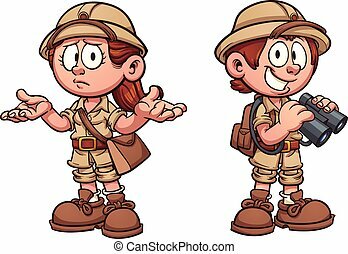 Cartoon safari kids. Vector clip art illustration with simple gradients. Each on a separate layer. 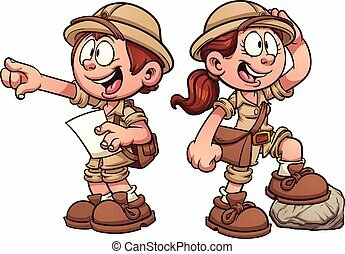 Explorer kids in safari outfits. 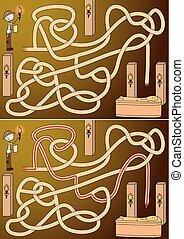 Vector clip art cartoon illustration with simple gradients. Each on a separate layer. 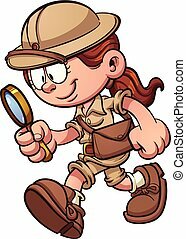 Cartoon safari girl looking through a magnifying glass. Vector clip art illustration with simple gradients. All in a single layer. Safari girl kneeling. Vector clip art illustration with simple gradients. All in a single layer. 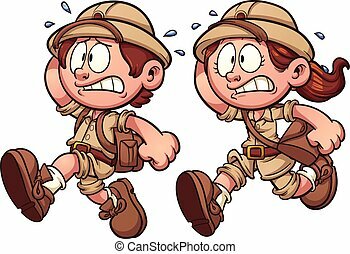 Scared safari kids. Vector clip art illustration with simple gradients. Each on a separate layer.